Our MedLED headlights set new standards in the field of premium headlights. They provide maximum wearing comfort, supply first-class light and feature outstandingly high-performance batteries. 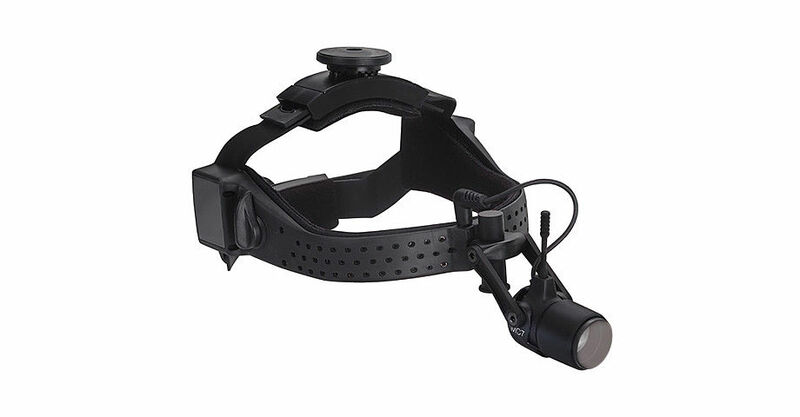 The MedLED Chrome headlight has incorporated the best that technology offers to accomplish the once impossible; a headlight that can light up any field in the OR in terms of both intensity and spot size and is silent, comfortable, and cordless. Head-mounted circuit technology. That’s our mission statement. No cables, no hassles. Lose the optical cables and belt pack cords and go cordless without sacrificing basic operating light needs. Does not interfere with sterility. Without cables or battery belt packs, it’s kept safely above the neck. Quiet-Cool™ Heatsink technology. Proprietary technology is used to cool the LED instantly, avoiding the potential for unnecessary heat build-up. We also designed the housing itself to manage any remaining thermal dissipation. Fans also demand more power, requiring large batteries attached to the waist of the user. The MedLED Onyx™, on the other hand, offers outstanding illumination in operations that call for homogeneous, wide illumination of the surgical field. With its unbeatable light intensity the MedLED Sapphire™ is ideally suited for operations where depth illumination of the surgical field has to be excellent. Our extensive range of accessories fits universally to all headlight models. We cover a broad spectrum ranging from desktop chargers to magnification glasses.